3 new Kids Colors need names. 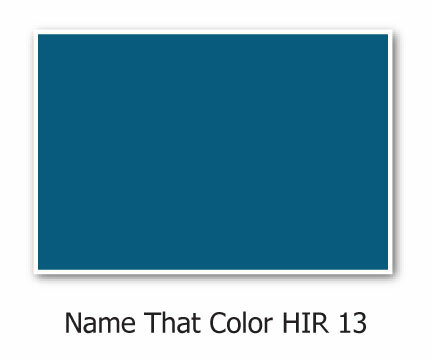 Simply choose a name for the colors and tell us why you chose that name. You could WIN a $125 Gift Certificate and become a color naming expert! Now let's get started. Remember to use your creativity. When you've finished naming your choices, hit the SUBMIT button at bottom of page. You'll receive a copy of your color names. Why did you choose that name for HIR-13? Why did you choose that name for HIR-14? Why did you choose that name for HIR-15? 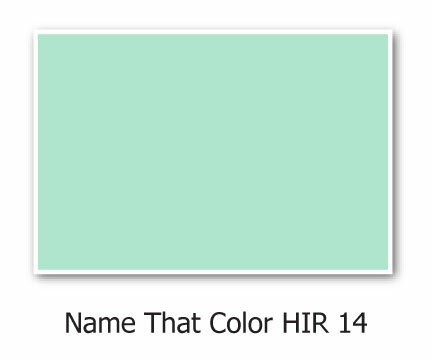 Once you submit your color names and descriptions, you'll receive a copy of those names for your records. Entries to the Name That Color Contest will be accepted until March 31, 2019. Winners will be notified by email.